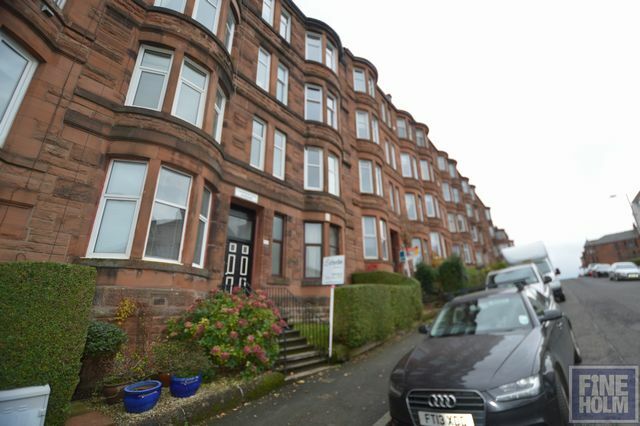 First floor tenement flat with lovely bay windowed living room, open outlook and generous room sizes. The property has a small entrance hall, rear bedroom with window overlooking the park at Broomhill, small kitchen in the middle of the property and front facing living room, narrow shower room to side of living room. Electric heating. Double glazing. Secure entry. This flat is unfurnished but has appliances provided. Thornwood Avenue is located between Broomhill Cross and Partick - with the West End Retail Park - M&S, Sainsburys, Argos. Other local shops nearby and Partick underground / train station within 10 minute walk.